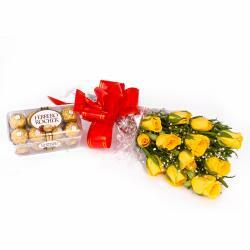 Product Consists: Bouquet of 12 Mix Roses along with Cadbury Celebration chocolate Box (Weight : 118 Gms). 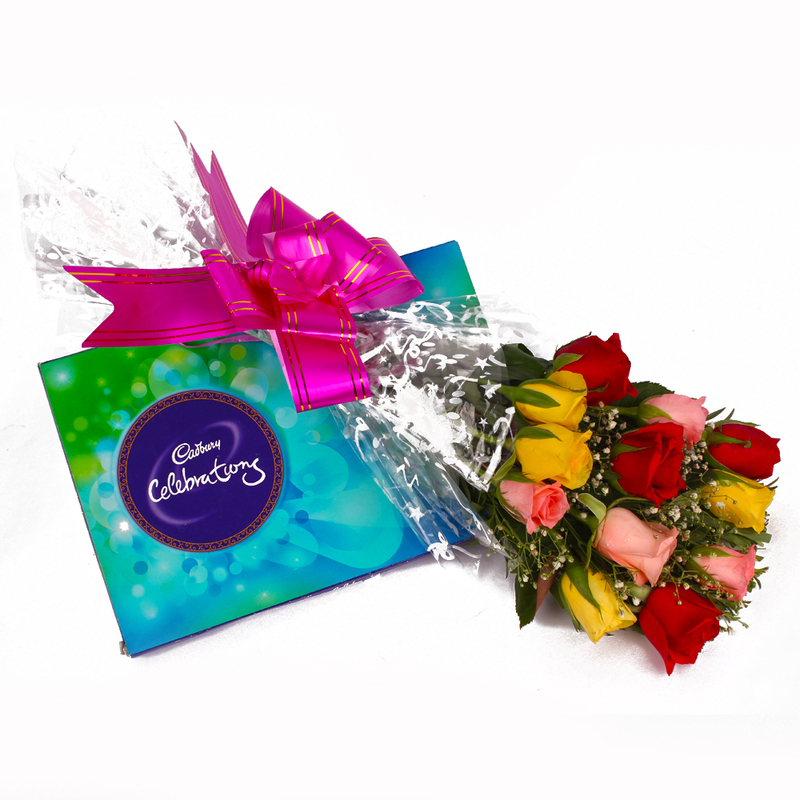 This perfect gift combo consist cadbury celebration chocolates pack with dazzling bunch of dozen multi color roses each bud is handpicked and is fresh and vivacious. 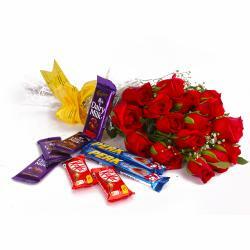 The combination chocolates and roses will shower the love, care and blessing to your special one on special occasion like Birthday, Anniversary, Durga Puja, Valentines Day, New Born, Diwali and New Year. We provide doorstep delivery and free shipping and ensure that your gifts reach on time. Send your love and care wrapped in this gift through Giftacrossindia.com. 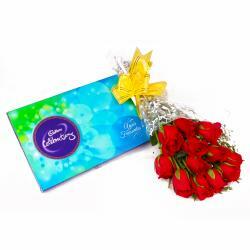 This gift hamper contains : Bunch of 12 Mix Roses along with Cadbury Celebration chocolate Box (Weight : 118 Gms).